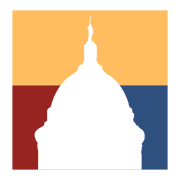 Oklahoma Policy Institute (OK Policy) is a non-partisan independent policy think-tank. It was launched in early 2008, growing out of work that had previously been conducted by the public policy department of Community Action Project of Tulsa County. OK Policy promotes adequate, fair, and fiscally responsible funding of public services and expanded opportunity for all Oklahomans by providing timely and credible information, analysis, and ideas.